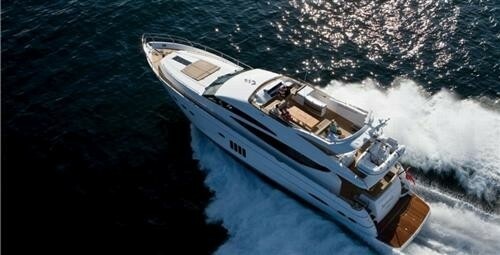 Motor yacht SABBATICAL III is a brand new Princess 78 measuring 24,10m (79’). 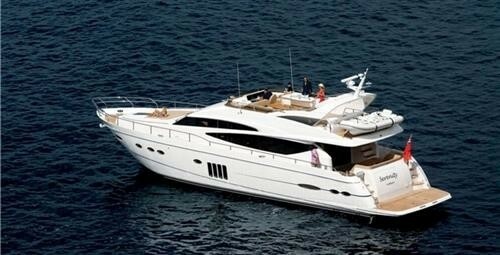 She can accommodate 8 guests in 4 cabins and has a high speed of 35knots enabling her to cruise to destinations along the Cote d’Azur quickly. 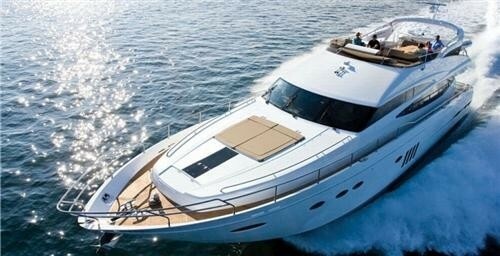 She is based in Antibes and charters throughout the Western Mediterranean. 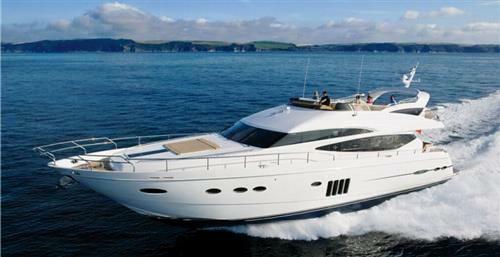 The Princess 78 charter yacht embodies the latest advances in Princess Design and technology. 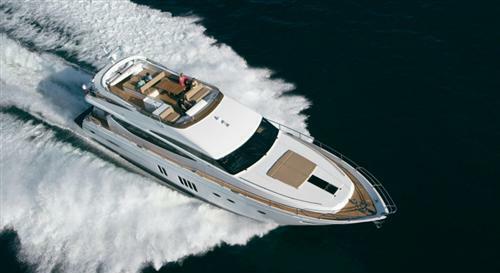 The new model features an elegant and contemporary profile with a deep-V hull, which uses resin infusion technology to enable a weight reduction and therefore higher speeds, lower fuel consumption and an increased cruising range. 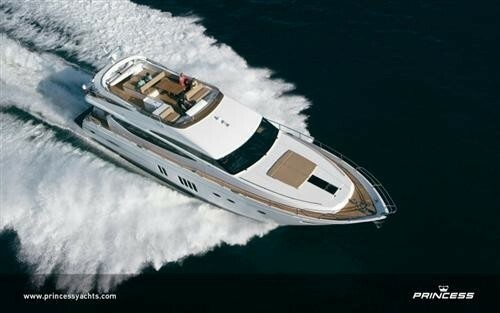 Motor yacht SABBATICAL III is able to attain speeds of 30-35 knots thanks to her twin 1825 hp Caterpillar engines. 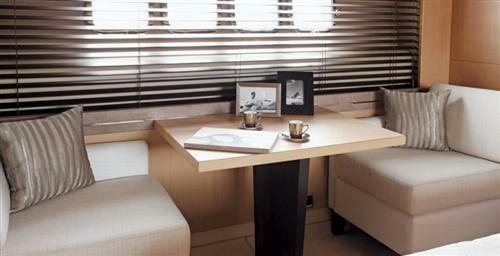 Motor yacht SABBATICAL III’s interior is finished with the finest natural materials ensuring uncompromising comfort. 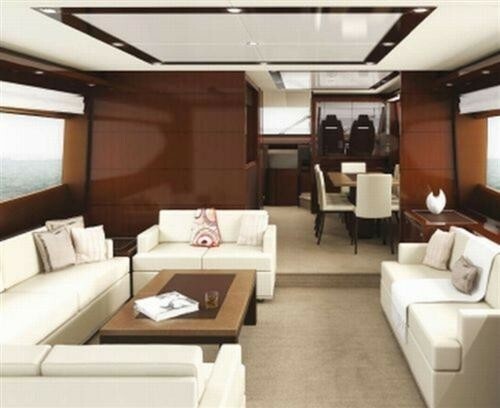 The wide and sumptuous saloon features a u shaped seating and coffee table to port and an additional couch to the starboard side. 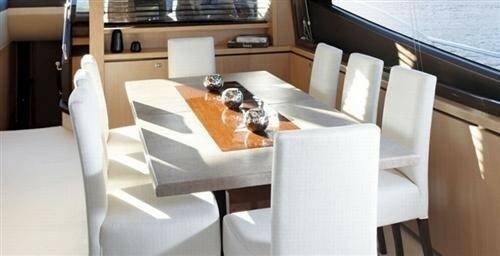 The dining table is located forward of the salon up a small step and offers great views while underway. 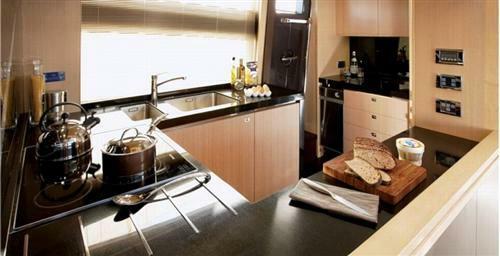 The galley is situated to the port side and is equipped with the very latest appliances. A side deck access door allows Sabbatical III’s experienced crew of 2 to optimise service without disturbing guests onboard. The galley area can be closed off for further privacy if required. 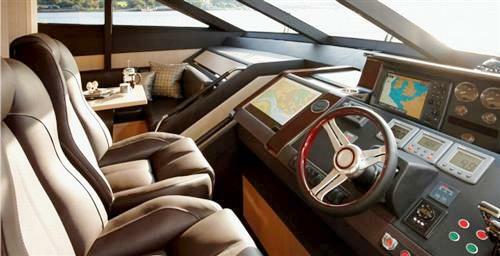 The wheelhouse forward has been designed for optimum visibility and is a great place to see the Captain at work. 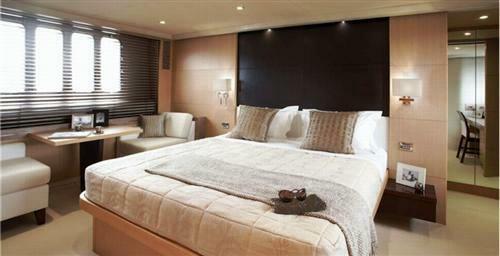 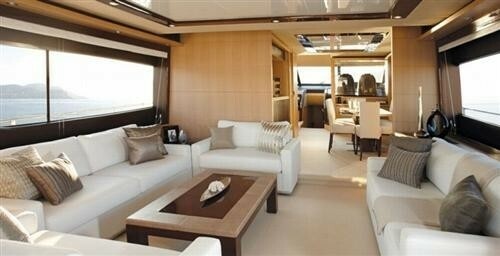 Luxury Princess 78 motor yacht SABBATICAL III can accommodate 8 guests in 4 cabins. The spacious Master stateroom is full width of the beam and features a private breakfast area, walk-in wardrobe and ensuite bathroom. 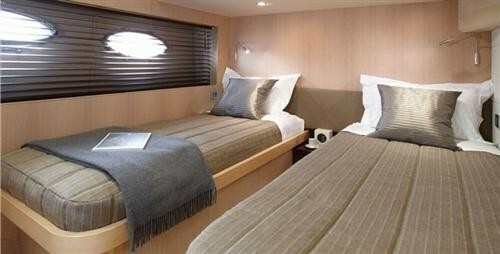 There are also 3 double and 1 twin ensuite guest cabins with ample storage. 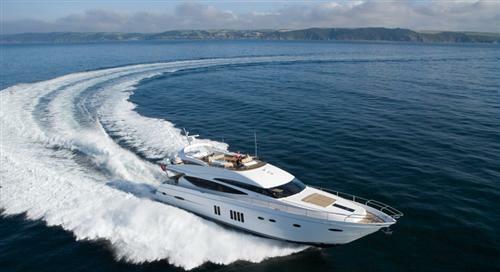 Charter yacht SABBATICAL III features a wealth of extras such as a spa pool on the fly bridge and a stabilisation-at anchor system for maximum comfort, while her impressive toy portfolio includes a fast tender and jetski. 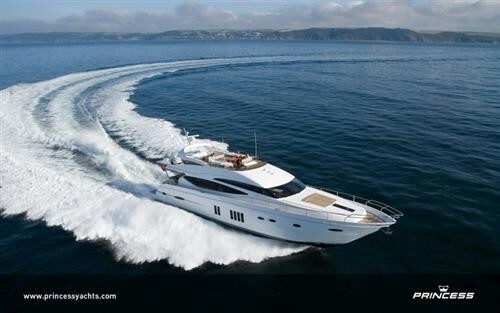 Princess 78 motor yacht SABBATICAL III has the following Tenders & Toys onboard: A Williams 385 jet tender (100 hp) and a jet ski, Snorkelling equipment. 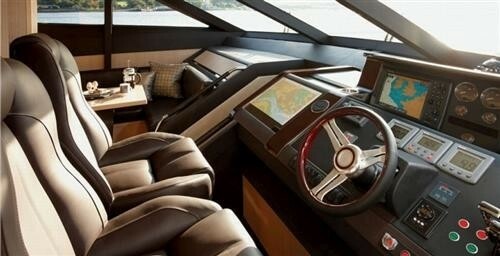 She also has a SPA/hot tub on the fly bridge.